Make a difference and have fun! 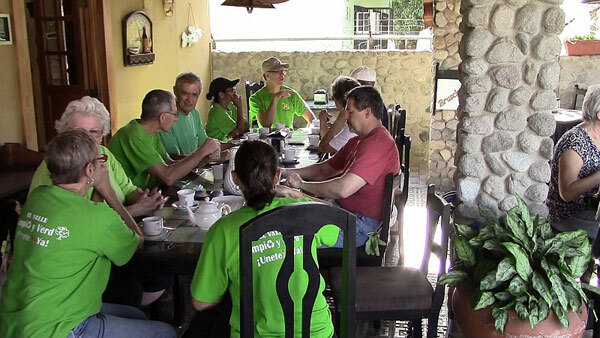 El Valle is one of the cleanest places in Panama thanks to a dedicated team of expat and Panamanian volunteers. The Green Team is inviting you to join us! 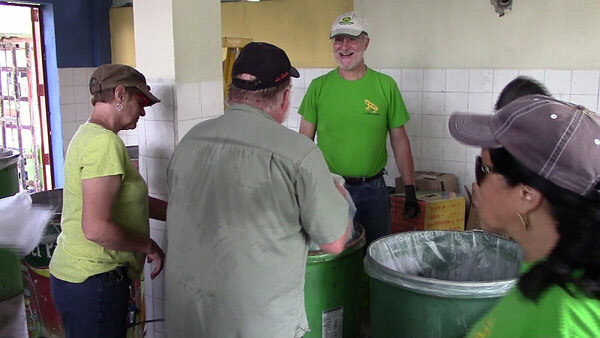 While picking up litter and separating recycling is hardly glamorous, we come back week after week, year after year to keep this town beautiful and to reduce the amount of trash entering the waste stream in Panama. Last year, the team recycled 67,000 pounds of things like bottles, cans, newpapers, etc. And we have lots of fun doing it! Meet us in front of Hong Kong at 7am every Monday morning. We will work for an hour and then be treated to a light breakfast at Bruschetta’s courtesy of Mario Mata. Just leave a tip. The Recycling Team meets the 2nd Saturday of the month from 9-12. The location is the last left before the MIDA office which is just before the Orchid Center.